A selection of documentaries, interviews, biographies, and how-to videos spanning the visual arts—from sculpture, painting, and photography to history, theory, criticism, and appreciation. Contains dance productions and documentaries by the most influential performers and companies of the 20th century. Selections cover ballet, tap, jazz, contemporary, experimental, and improvisational dance, as well as forerunners of the forms and the pioneers of modern concert dance. Overviews of literary movements, scholarly films on the evolution of the English language, play productions of major works, and documentaries on the prominent global authors. Videos that consider the ways in which we communicate—and why, covering both basic and advanced techniques of communicating across multiple mediums and varied settings. Instructional videos, documentary films, and expert presentations including advertising, digital media, film, journalism, interpersonal communication, and more. With equal emphasis on recordings of live performances and documentaries, this collection spans both time and space to cover a wide variety of music and dance from around the world and throughout history. Opera, jazz, and classical. Ballet, modern, and step dancing. Contains performances of all forms of classical music, including major orchestral performances, chamber music, oratorio, and solo performances, along with masterclasses and interviews with master teachers from around the world. Covers the fundamental concepts of reality, epistemology, and value as well as the contrasting narratives, rituals, and beliefs of the world’s religions. Topics include ethics and morality, logic and faith, the meaning of life and the afterlife. This collection looks at the history and current state of how technology has changed our lives in countless and often unpredictable ways. An archival collection of motion picture film and videotape clips recording the social, political and cultural history of the 20th century. Contains language instruction titles for Chinese, French, German, Italian, and Spanish as well as titles on the culture, history, literature, and art of the countries where those languages are spoken. Many of the supplemental titles are presented in the native tongue, often with English subtitles—ideal for listening comprehension. A collection of anthropology videos revealing the vast diversity of humankind—with equal emphasis on traditional cultures and the effect that modernity has on them today. Throughout modern history, cameras have recorded public events, wars, cultural phenomena, and government programs. This is a collection of archival and historical films from multiple sources. Videos offering an understanding of the histories, politics, cultures, and economies of different countries and regions of the globe on some of the world’s fastest-growing countries, such as China, India, Russia, and Brazil, as well as major regions including Africa, the Middle East, Latin America, and more. Covers a variety of content including economic theory, accounting and finance fundamentals, and more. This collection addresses effective teaching methods and classroom management, best practices for use of technology, application of standards, overcoming the challenges of special needs students, understanding legal and ethical issues, and more. Includes documentaries, presentations, and instructional titles on environmental change, transformation of economy and culture, urbanization, regional or global inequality, natural hazards, and more. This collection covers life lessons that aren’t always taught in class, including time management, mitigating stress, understanding alcohol and drugs, peer pressure, and other dangers of becoming a young adult. This collection of documentaries, educational videos, interviews, speeches, and newsreels covers the ancient world to the present day, including thousands of history titles from across the globe. Videos on aspects of American government and politics: institutions, public policy, civil rights, political participants, etc., as well as global politics, comparative government, and political theory. Includes reviews of classic studies, overviews of foundational and contemporary theories, case studies of disorders, research methods and statistics, interviews, and documentaries on topics such as personality, sexuality, aging, happiness, and intelligence, and more. Covers essential sociological topics including poverty, gender inequality, social justice, crime, prejudice, globalization, and more. Key subjects in sociology are explored by in-depth documentaries and curriculum-focused instructional videos. 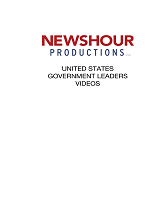 A compilation of multiple PBS NewsHour videos covering U.S. Presidents. A collection of videos on animal biology. 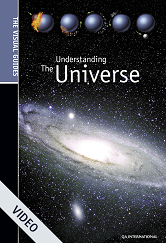 This collection highlights the most important topics in physics, chemistry, and astronomy. A collection of documentaries, educational videos, presentations, and interviews on cells, genetics, evolution, human anatomy and physiology, and more. 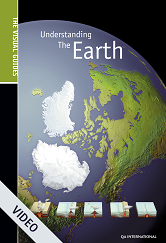 This collection contains documentaries and educational titles covering geology, oceanography, weather & climate and more. This collection features documentaries on climate change, water shortages, overpopulation, industrial disasters, deforestation, pollution, research and methods, basic Earth science, and the history of environmental science, and more. This collection covers math’s cross-disciplinary nature, both with straightforward video lessons on statistics to calculus, algebra, and geometry, as well as programming about applied math in accounting, psychology, construction, and more. 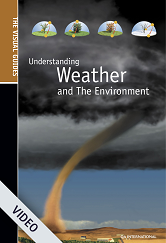 This Visual Guide answers the most important questions on weather and the environment through a series of videos and animations. It provides images of natural phenomena and explanations of fundamental concepts, and features the very latest discoveries in this area. This Visual Guide answers the most important questions on the universe through a series of videos and animations. It provides images of natural phenomena and explanations of fundamental concepts, and features the very latest discoveries in this area. This Visual Guide answers the most important questions on the Earth through a series of videos and animations. It provides images of natural phenomena and explanations of fundamental concepts, and features the very latest discoveries in this area. 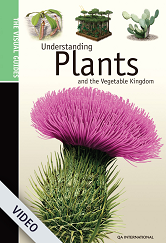 This Visual Guide answers the most important questions on plants through a series of videos and animations. It provides images of natural phenomena and explanations of fundamental concepts, and features the very latest discoveries in this area. 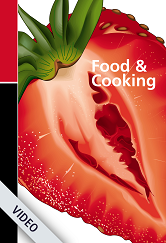 Covers a variety of content including economic theory, basic business education, accounting and finance fundamentals, business ethics and law, management and marketing. Titles spanning criminal investigation, legal studies, criminology, and the justice system, this collection covers the topics such as forensic science, homeland security, police training, the criminal mind, juvenile justice, cybercrime, human rights, and more. A collection of videos on business, economics, and marketing. Covers a spectrum of diseases and disorders, human anatomy and physiology, investigations into public health issues, programming on nutrition and wellness, instructional films on health care and treatment, primers on careers in health and medicine, and more. 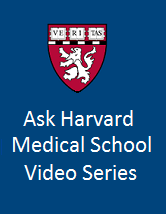 A collection of videos on on human anatomy, physiology, and biology. 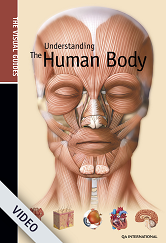 This Visual Guide answers the most important questions on the human body through a series of videos and animations. It provides images of natural phenomena and explanations of fundamental concepts, and features the very latest discoveries in this area. From public projects like the Hoover Dam to the small science of nanotechnology, this collection provides coverage of the widespread and interdisciplinary fields of engineering. Films, presentations, and videos cover chemical, civil, electrical, and mechanical engineering as well as bioengineering, computer science, and materials science. Helps prepare students interested in vocational trades, including auto repair and shop safety, carpentry, construction, wiring, heating/air conditioning/ventilating, masonry, measurements, plumbing, civil engineering, technical drawing and drafting, and technical career advice. Videos offering information about the process of searching for and getting a job, including online portfolios, social networking, webcam interviews, résumés, and cover letters. It provides overviews of career fields and insights into the necessary skills for success on the job. Listed below are a few of the hundreds of online video sharing sites on the Internet. A popular website mainly known for funny videos, movie clips and pics. One of the larger online photo management and video sharing applications. A video-sharing website where you can find short videos in the categories of video games, sports, music, movies and TV. Site for uploading, sharing, linking and finding photos, videos and graphics. A resource list of more than 300 video sharing sites. One of the fastest growing video platforms that holds mostly professional-looking videos. The leader in online video and premier destination to watch and share original videos worldwide. "Coverr lets you download any video that you want AND it also gives you code snippets to help you implement them. It's copyright free and always will be." 7 new videos (12-15 seconds long) uploaded every Monday. "Free photos for you, your blog or project." "Free high-resolution images for personal & commercial use. New pictures added weekly!" "All images and videos on Pixabay are released free of copyrights under Creative Commons CC0. You may download, modify, distribute, and use them royalty free for anything you like, even in commercial applications. Attribution is not required." Created by the Library of Congress, American Memory is a gateway to rich primary source materials relating to the history and culture of the United States. The site offers more than 7 million digital items from more than 100 historical collections. AICT is a personal, non-profit project of its author, art historian and visual resources curator Allan T. Kohl. AICT is intended primarily to disseminate images of art and architectural works in the public domain on a free-access, free-use basis to all levels of the educational community, as well as to the public at large. The collection focuses on ancient, medieval, and Renaissance European art and architecture. A unique collaboration of over 150 acclaimed art museums in 40 countries. The search capabilities are very clunky and it is recommended to use the Search by Museum category to browse. Create and share your own "collections." Excellent image database containing images from over 8,000 collections and more than 29,000 artists, Bridgeman provides a central source of fine art and historical images for users. Based in London but focus is international in scope. 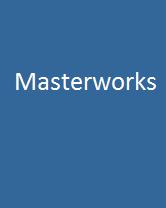 A growing online collection documenting works of art from around the world, representing the collections of prominent museums, highlighting the creative output of cultures around the world, from prehistoric to contemporary times, and covering the complete range of expressive forms. They search the entire Flickr library and find all images licensed with Creative Commons. A well-designed site with focus on fashion, craft, 2D design, and contemporary artists working in the United Kingdom and internationally. It is a repository for many special collections in the UK. Its more than 100,0000 images include collections such as the NICE Paintings (NICE stands for National Inventory of Continental European). WGA is a virtual museum and searchable database of European painting and sculpture from 11th to mid-19th centuries. Content focuses on the Renaissance period, the Medieval roots of the period and its evolution to Baroque and Rococo via Mannerism. More recently Neoclassicism, Romanticism and Realism were also included.